What’s an ergonomic gift you can give almost anyone? Mouse and keyboard pads! That’s because almost every computer setup should have proper rest pads but many people don’t have a set. These also make great inexpensive gifts that send a message that you care about health. Look around your office and home. You’ll find tons of people typing away without any type keyboard and mouse support. Personally, I think more of us used mouse pads years ago. Back then, our mice needed special surfaces to properly translate hand movements to screen movements. 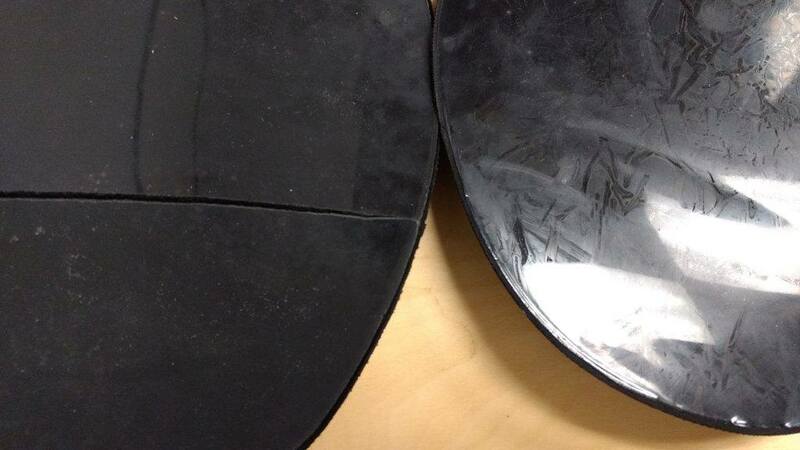 Today’s mice can work on almost every surface. You don’t need a pad anymore to operate a mouse. We are also using laptops more and more and working with the same laptop in many locations. So hauling mouse and keyboard pads around is not practical for many…it should be for our health but our laptop bags are probably already too crammed as it is. So if you need a set, read on. Today we review a combination keyboard and mouse set from Ergonomic Innovations. We’ll update this review in six months on how well these things have held up and will make sure to toss them around in our bags and treat them like how an average person may treat them. We just started a YouTube channel and expect to post a bunch of review videos. This video review below is our first. My summary is that this set should work just fine for most users. The initial quality seems as good and if not better than other brand names like Belkin and much better than generic pads. The mouse pad is slightly thicker than what I’ve seen and the edges of both pads are well constructed so fraying should not be an issue. They seem properly reinforced so we don’t expect them to crack after normal wear and tear. 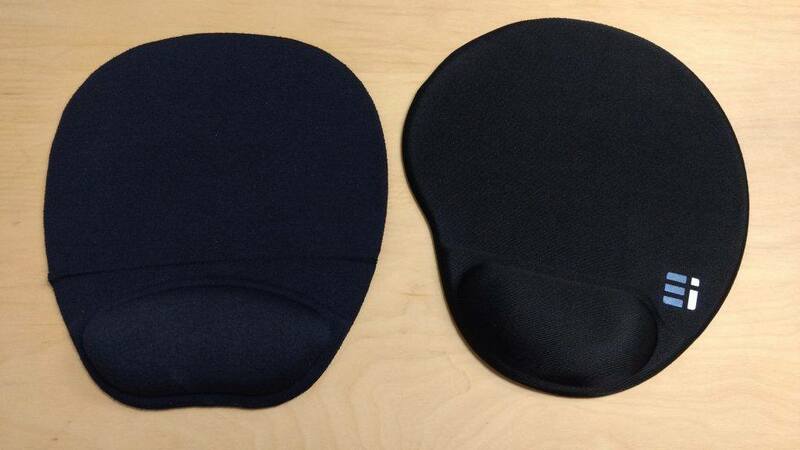 Below is an image of the mouse pad next to a cheap generic mouse pad. There are a few differences that immediately stand out. The generic one is already starting to fray around the edges after some light use over the past six months. It’s much thinner and more importantly has already started to break in two. It’s still 100% functional. It just looks a bit sloppy. On a side note, a clean desk with clean well cared for stuff like pads could boost productivity and creativity. Or should every office should scrap its clean desk policy? If you like things to look neat, then stay away from the cheap models that fray and crack easily. Here you can clearly see the crack of the generic mouse pad. The Ergonomic Innovations pad seems to be well reinforced in that area and my prediction is that it will hold up just fine. Compared to another brand name mouse pad, a Belkin mouse pad, the Ergonomic Innovations pad appears to be slightly more heavy duty. 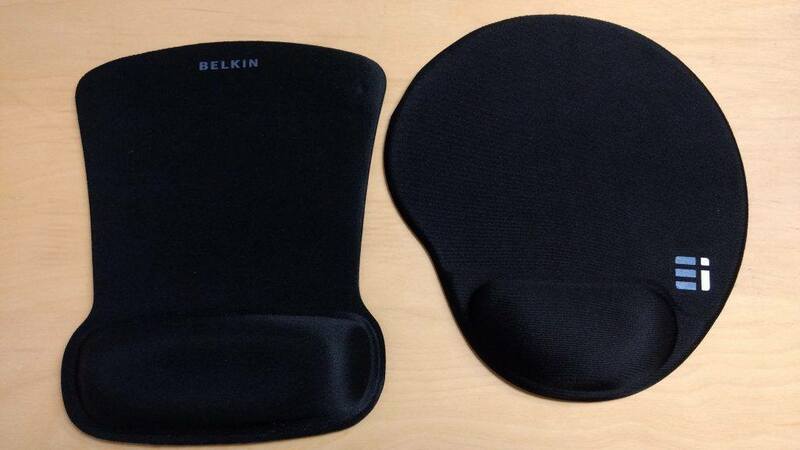 The Belkin pad is thinner which is better for transportability but potentially easier to crack. When we used the same amount of pressure, we could move the Belkin mouse pad a bit but the Ergonomic Innovations pad did not move. I don’t think the amount of pressure we used would make much of a real world difference so both pads stuck good enough to the desk. In terms of shape, the Belkin offers a much wider squishy wrist rest area and the Ergonomic Innovations offers a more circular mousing area. 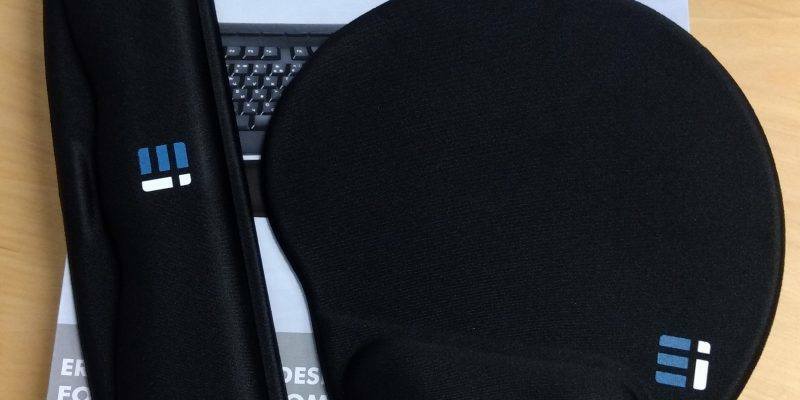 Most mice with adjustable DPI can easily cover your large screen with either mouse pad shape so this may come down to preference or available desk space. Having a larger wrist rest may be better for folks that move their mouse a whole lot but I found both widths to be more than sufficient to brace my wrist. I tried both for a week and honestly don’t really notice a difference with the shape. 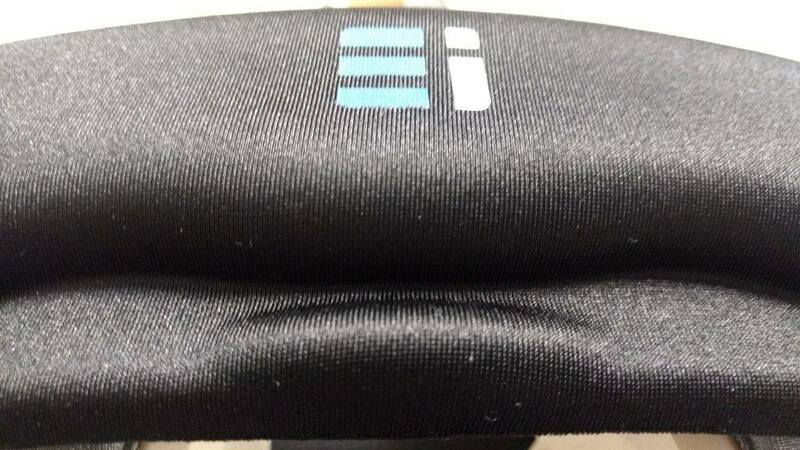 I am going to watch that Ergonomic Innovations logo though. Not sure it adds anything to this design. I hope the white part of the logo doesn’t end up getting dirty. Some keyboards come with outstanding wrist pads like one of my personal favorites the Kinesis Freestyle 2 with the VIP kit. The keyboard wrist that comes with this kit seems as well built as the mouse. Below is a close up that shows the curves of the pad which are important to provide support without sharp corners which could concentrate pressure over time to small areas. The back of the wrist pad had the same sticky material as the mouse pad and after checking every inch it seemed properly reinforced. This write pad should stand up to every day use for years. Like the mouse though, that logo with a white letter i may get dirty over time. I am not sure that that small bump below is for. Looks like it can hold a pen or stylus or something that size wedged in. The bump didn’t bother me at all during use. Personally I like black pads. I have used other color pads but they seem to show dirty and grime as well as wear and tear soon after using. I had a gray one once that looked pretty nasty after just a couple of months…I then found that same pad at another desk and it too looked pretty nasty. As a side note, I tried washing a write pad once and the fabric ended up getting bunchy and even worse looking. So for now, I stick to the dark colors. For size comparison, here is the pad next to a full size Freestyle2 keyboard split a little. This keyboard already has wrist pads and I placed it on top to show you that it fits this very wide keyboard so most likely the 17″ width will fit your keyboard. I would measure the space you plan to put this wrist pad to make sure you have at least 17″ of width and 5″ of depth. 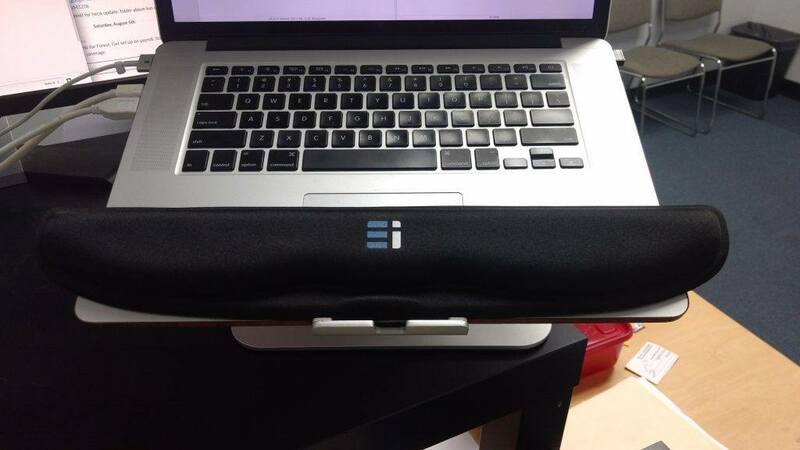 Here is the wrist pad next to a Macbook Pro 15″ laptop. This mouse and keyboard gel pad set from Ergonomic Innovations is made very well compared to both brand name alternatives. I have used a large number of mouse and wrist pads over the years and these tick the important boxes for me: I like the color to hide grime, the curves make it comfortable, the quality will keep it crisp looking, the grip is grippy enough to stay in place, and the gel padding is more than sufficient. The one thing I would change would be to remove the logo or change the white used in the logo. I’ll report back in 6 months how these pads held up though at this point I’m predicting they are going to hold up well. 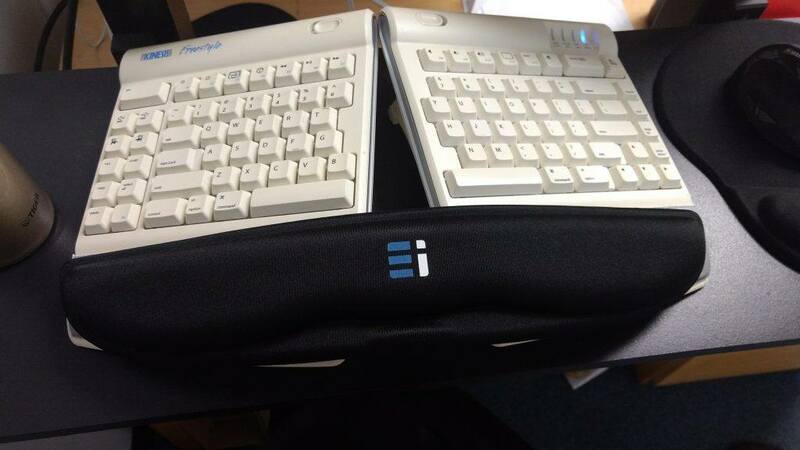 I recommend this Ergonomic Innovation set to anyone needing a generic mouse and keyboard pad combination set.